I would spend the money and roll a male character to wear Androrov’s outfit! 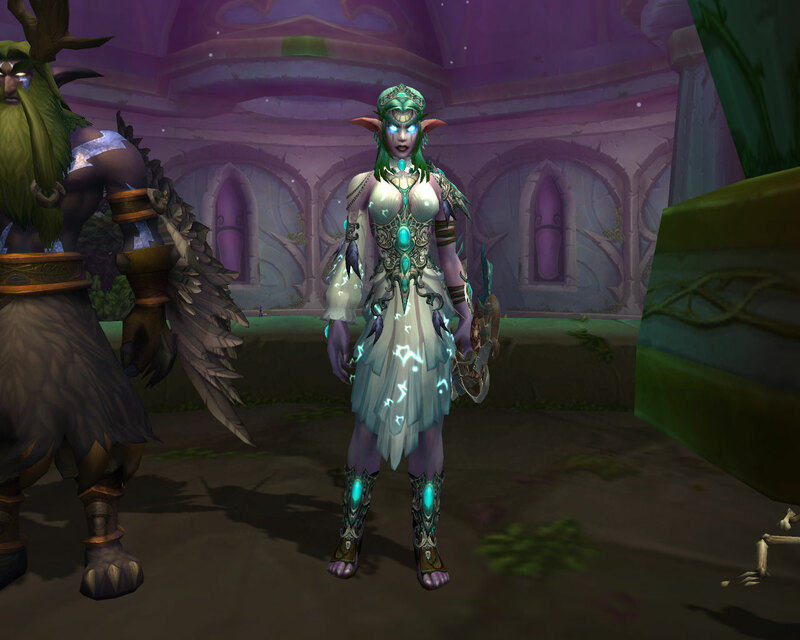 I’ve been wanting to wear Tyrande’s outfit ever since I saw the new model. I’d cough it up and even make a night elf priest just for it! Those are some of my favorite outfits. I was just thinking that as well, when I saw the new additions to the shop! The first outfit is my dream outfit for my druid. I’d love to be able to obtain those, I’d surely buy them, lol. I would love Tyrande’s outifit! It is so pretty! 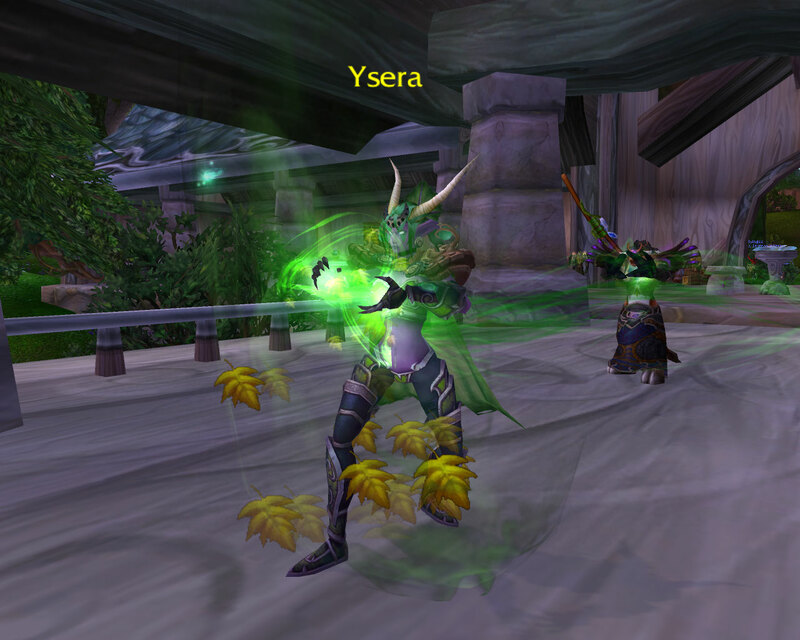 I’d love Tyrande’s outfit but I still wouldn’t pay for it! I like the orange helm that you can buy (I can’t be arsed checking it’s name) but I wouldn’t pay for it. I’m super poor but even if I wasn’t I still don’t think I’d pay for it. I saw a Gnome wearing the orange one today. It looked cute but I have to agree, I wouldn’t pay for it either. I really wish that they would put everything in game, just a bit harder to obtain rather than sticking a price tag on it. I do find the new helms rather over-priced. Especially considering that there are so many nice looking ones in the game already. So personally, I’ll stick to those. I thought the same about the helms. The price difference between them and the pets/mounts seems a little steep. However I’m the sort of person who hides helm 99 percent of the time so probably isn’t the correct market for the helms. Yes. Yes. Yes. I want to be a dragon. Yes please! I’m usually really into mogging, but I haven’t been able to bring myself to buy the new helms (not because of the cost, but because I rarely show helms). I would totally buy those armor sets if they ever became available.